Class I: Simple devices with a minimal risk to the user. Most of these devices are exempt from FDA clearance or approval. Examples: crutches, elastic bandages, bedpans. Class II: Moderate level of risk to the user. Almost all of these devices require a regulatory submission before they can be legally marketed. As a rule, class II devices require 510(k) submissions. Examples: administration sets, sutures, inflatable blood pressure cuffs. Class III: These devices pose a serious level of risk to the user, mostly because they are implants or sustain life. All of these devices require a regulatory submission before they can be legally marketed. As a rule, class III devices require a PMA (Premarket Approval) submission. Examples: implantable pacemakers, blood vessel stents, breast implants. The purpose of a 510(k) submission is to demonstrate that a device is “substantially equivalent” to a predicate device. The 510(k) submitter compares and contrasts the subject and predicate devices, explaining why any differences between them should be acceptable. Manufacturers may also submit a 510(k) if they alter their device. Not all changes require a 510(k) submission. In general, changes to a device’s intended use, contraindications, or basic operation require a new 510(k) clearance. Changes to blood-contacting materials, sterilization method, or performance specifications may also require a new 510(k). The FDA does not “approve” 510(k) submissions. It “clears” them. A PMA submission is used to demonstrate to the FDA that a new or modified device is safe and effective. This standard is higher than is required for 510(k) submissions. Human use data from a formal clinical study is almost always required in addition to laboratory studies. Required in the United States, the regulations used are CFR 21 Part 11 (CFR=Code of Federal Regulations), Electronic Records and Electronic Signatures, and 21 CFR Part 820 Quality System Regulations (QSR), outlines Current Good Manufacturing Practice CGMP regulations that govern the methods which must apply to the development of software that acts as a component of a medical device. Companies who comply with the PMA FDA regulations recieve the FDA Approval. Companies who comply with the 510(k) clearance are 510(k) cleared, but not FDA Approved. ISO 14971 represents the requirements for a medical device risk management system. This standard establishes the requirements for risk management to determine the safety of a medical device by the manufacturer during the product life cycle. Such activity is required by higher level regulation and other quality standards such as ISO 13485. IEC 62304 (and EN 62304) is the international standard for software life cycle for medical device. IEC 62304 specifies life cycle requirements for the development of medical software and software within medical devices. It is harmonized by the European Union and the United States. Compliance with this standard fulfills the FDA 21 CFR820 requirements as well as the Medical Device Directive 93/42/EEC. Orcanos, a supplier of ALM (Application Lifecycle Management) solutions, has assimilated its QPack solution in the Ministry of Justice. The system will allow cooperation and full transparency between different project teams, by using a real-time monitoring and control tool in the acceptance test stages of software development projects. The application is part of a collaboration between Orcanos and Matrix Global (formerly Matrix Talpiot), based in Modiin Ilite. Matrix Global manages a number of different projects for carrying out acceptance tests for information systems, on behalf of the Ministry of Justice. Using the QPack system, it is possible to work on a uniform and integrative platform that creates transparency and integration between all the entities involved in the project and in implementing the software in the Ministry of Justice. Furthermore, the Ministry of Justice can communicate continuously, online, with the systems of Matrix Global in Modiin Ilite, independent of location or of the different development entities. In this way it is effectively possible to obtain a reliable, real-time picture of the state and progress of each project. Orcanos is a software company specializing in product development lifecycle management. The QPack system that the company has developed is an integrative organizational system for managing the development process, from the stage of marketing requirement definition (MRD), through product requirement definition (PRD), and management of the development tasks and software files, planning and running tests, and even malfunction management. The system enables an automatic flow of information between the different entities involved in development, according to a definition of work processes adapted to the organization, and allows monitoring and control of all the actions that are carried out or planned to be carried out, in real time. Among the companies that have chosen to assimilate the QPack system are Flash-Networks, Alvirion, Quategra of Germany, and others. Orcanos, a supplier and developer of solutions based on the ALM (Application Lifecycle Management) model, has completed the implementation of two infrastructure projects for Telmap, a world leader in mobile mapping and location based solutions. These projects are for two Telmap divisions – the Core Development and the Professional Services divisions, in which the QPack Professional Edition systems have been installed on a scale estimated at hundreds of thousands of shekels. In the first project, an Orcanos QPack Professional Edition system was installed in the Telmap core products development group, the developer of Navigator 5.0. With the Orcanos system, the development team and company management will be able to work on a single integrative organizational platform containing a series of different modules. The Orcanos system, considered to be unique in its field, enables all the entities involved in the development process to follow up the progress of the project, manage requirements, plan and implement quality tests, manage defects, and receive a full picture of whether the targets and tasks allocated to the different teams are being met, all in one installed system. Telmap has recently asked for assimilation to be expanded to the company’s remote sites, abroad and in Israel, as part of the broad organizational solution afforded by the QPack system. In a parallel project, Orcanos has carried out full computerization of the professional service processes for system implementers in customer projects. QPack allows the course of the project to be closely monitored with the customer, making it possible to set quality yardsticks and check that timetables and undertakings to the customer are being met. The implementer receives a list of requirements from the customer, and these are input into the QPack system at the start of an efficient and rapid process of implementing and testing the requirements, throughout all stages. All updates to the company’s central information system are carried out automatically, and all work is carried out without paperwork, with a convenient and user-friendly interface. In addition, the system makes the management of defects revealed in the development and integration process, or received from customers transparent – including the control processes and construction of yardsticks – by means of a BI (business intelligence) system developed on the QPack as part of the Oracle Israel and Chief Scientist investments during 2007, in the framework of the excellence program in which it is participating. Orcanos is a software company specializing in application lifecycle management – ALM 2.0. The QPack system developed by the company is an integrative organizational system that manages the development process from the stage of developing the marketing requirements (MRD), through defining the product requirements (PRD), managing the development tasks and programming files, planning and running the tests, and even defect management. The system enables an automatic flow of information between the different entities involved in development, according to a definition of work processes adapted to the organization, and allowing real time follow-up and control of all the actions that have been or are planned to be carried out. Among the companies that have chosen to assimilate the QPack system are Flash Networks, Alvarion, the German company Quategra, and others. Tel-Aviv, ISRAEL, March – The Israeli company Orcanos, a leading solution provider in the field of ALM (Application Life Management) announced today the signing of a partnership agreement with Siemens PLM Software, a business unit of the Siemens Industry Automation Division and a leading global provider of Product Lifecycle Management (PLM) software and services. Orcanos joins the Siemens Solution Partner Program as a Software and Technology Partner and will integrate its QPack solution with Teamcenter® software, Siemens PLM Software’s digital lifecycle management solution. Orcanos provides an integrated software solution for Application Lifecycle Management (ALM). Orcanos’ innovative approach to the software delivery process enables companies to support development processes and working methodologies at all levels. Orcanos’ QPack ALM 2.0 solution focuses on capturing the complete application development process. From product concept to strategy, planning to implementation, and verification and delivery – The QPack ALM end-to-end solution enables companies to empower their employees, by significantly improving their projects’ objectives, thus generating cost savings and reducing time-to-market. PLM allows organizations to improve upon and more efficiently control, manage and supervise the entire product production process from the design stage to the development and application stage, using information sharing and communication between the different departments involved. Following the announcement, Orcanos’ solution, already considered a leader in the ALM market for the supervision and management of software development processes, will interface with Siemens PLM Software’s Teamcenter portfolio thus supplying an important component to complement the offering. The Orcanos’ QPack solution, together with Teamcenter, provides companies with one unified and complete solution that integrates the three dimensions of mechatronics systems – electrical, mechanical and software – into the product development process. The Teamcenter system is the world’s most widely used PLM portfolio, and its clients include some of Israel’s largest organizations. Orcanos specialize in Development Lifecycle Management. 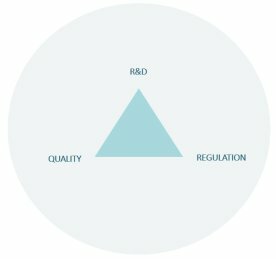 The QPack system is an integrative organizational system that manages the production process from the Marketing Requirement Development (MRD) stage through to Product Requirement Development (PRD) by managing developmental assignments, software files, planning and running test trials and even, problem management. The system allows for automatic information sharing between the different factors involved in the development cycle based on the work process specifications best suited to the organization. In addition, the system enables follow up and supervision of all actions taken or planned to take place, in real time. Flash-networks, Alvarion, Emblaze, Navotek and German company Quategra are just a few of the companies who have chosen to integrate the QPack system. Oracle will go out to the Oracle OpenWorld conference, considered to be one of the biggest and most important events in the global high-tech industry, as part of a delegation of Israeli start-ups supported and funded by the Chief Scientist’s Office in the Ministry of Industry, Trade and Employment in cooperation with Oracle Israel’s Excellence Center program. The conference, which is expected to take place between September 21 – 25 in San Francisco, USA, attracts some 50,000 people each year, among them the top echelons of the largest computing companies in the world. The companies in the delegation will present their products under one roof, in the stand set up at the exhibition by the Tnufa program at the Chief Scientist’s Office. Israel will thus be the only country at the event with a joint display of blue-and-white technologies at this huge conference. Overall assistance to the companies in the delegation is estimated at NIS 2 million, half provided by the Chief Scientist and half by Oracle Israel. The start-ups exhibiting in the stand are: Orcanos, Ransys, dbMaestro and GPV – all IT companies giving added value to Oracle products, and therefore seeing Oracle users as the main market for their products. Orcanos develops solutions for managing software development processes; dbMaestro supplies database solutions; Ransys develops survey feedback and management solutions; and GPV develops solutions for identification, solution planning, control and management of business risks. These companies are part of the Oracle Excellence Center, established by Oracle Israel with the aim of increasing support and assistance to Israeli start-ups. According to Yaacov Fisher, head of the Tnufa program at the Chief Scientist’s Office, who is responsible for the delegation, the innovative collaboration developed at the initiative of the current Chief Scientist, Dr. Eli Ofer, was first exhibited to Oracle customers at last year’s OpenWorld conference, and attracted considerable interest. This year Tnufa is revealing four ventures that have matured sufficiently to be presented at the prestigious conference. Fisher expressed the hope that the collaboration with Oracle, which has so far given birth to 15 joint developments, will continue to gain momentum and produce new ventures. Orcanos will present a new and unique module, enabling organizations to track the stages of project development and management in Oracle-based BI environments. The new module has been developed using the new version of the Orcanos QPack5.0 system, based on the ALM (application life management) approach. The software allows organizations to follow up and control all stages of projects, immediately and in real time, and interfaces with the Oracle BI solution. Integration between the systems is carried out by means of Siebel Analytics infrastructures, in which hundreds of thousands of dollars have been invested. Incredimail, a software company specializing in consumer products and services on the Internet, has purchased from Orcanos a license for the QPack system for Application Lifecycle Management to assist in the development and delivery of IncrediMail?’s suite of software products. IncrediMail Expands the Offering of QPack system to companies who provide software products and web services to the Internet consumer market. Under the terms of the agreement, IncrediMail is granted a site license to use the QPack system for all its employees. “We have chosen the QPack system because we believe that it provides a comprehensive solution for managing our products development process in one integrated tool, with its intuitive user interface and reporting capabilities. We expect the QPack solution to further enhance our ability to develop products and services for our users.” said Gil Pry-Dvash, CTO at IncrediMail. IncrediMail designs and markets an integrated suite of customized and entertaining email software products for the consumer market, offering users the ability to design highly personalized email presentations with its large collection of multimedia content for email communication. IncrediMail’s products include: IncrediMail Xe, which allows users to personalize email messages with creative features and is offered free of charge; IncrediMail Premium, an enhanced version of IncrediMail Xe; IncrediMail Letter Creator, which enables further personalization of backgrounds; The Gold Gallery, a content database of additional backgrounds, animation and notifies; JunkFilter Plus, an anti-spam solution; and the recently introduced Magentic, a solution offering desktop Wallpapers and Screensavers. IncrediMail generates revenue by the sale of these products and services; licensing and co-branding the Incredible brand to operators of third party websites; and selling paid to advertise and sponsored links on its website and email client.